The vessel has had a complete refit with special hull strengthening after two races so as to make her even more robust to withstand the pressures of Offshore Power Boat racing. Individual spaces in the cockpit for a crew of five. Montracon twin axle flatbed trailer with airbrakes and underslung storage lockers with compressed air operated doors and a large deck mounted storage box for spare engine. High performance automatic bilge pumps with manual overide. If you are keen to compete in the Cowes to Monte Carlo ocean race 2013 then this is the boat for you! 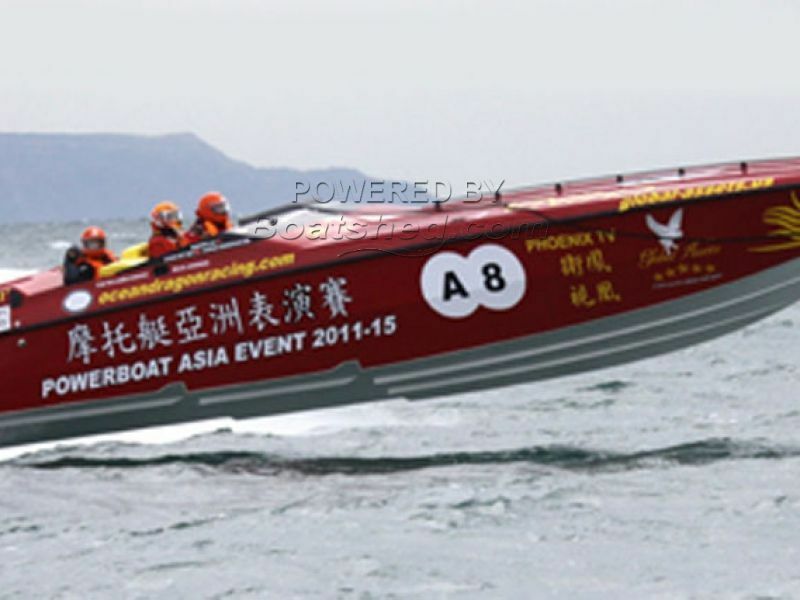 A very rare opportunity to purchase a complete P1 racing vessel and trailer - fully equipped to enter the exciting world of Offshore Power Boat racing. This vessel has already had a very successful year of racing and is being sold in a fully operational condition as a total package. Expertly maintained and immaculately presented this vessel is just amazing! Please note that VAT is not included in the asking price. This Pantera 41 P1 Edition Offshore Racing Inc. Volvo Truck/Trailer has been personally photographed and viewed by a representative of Boatshed Torquay. Click here for contact details.